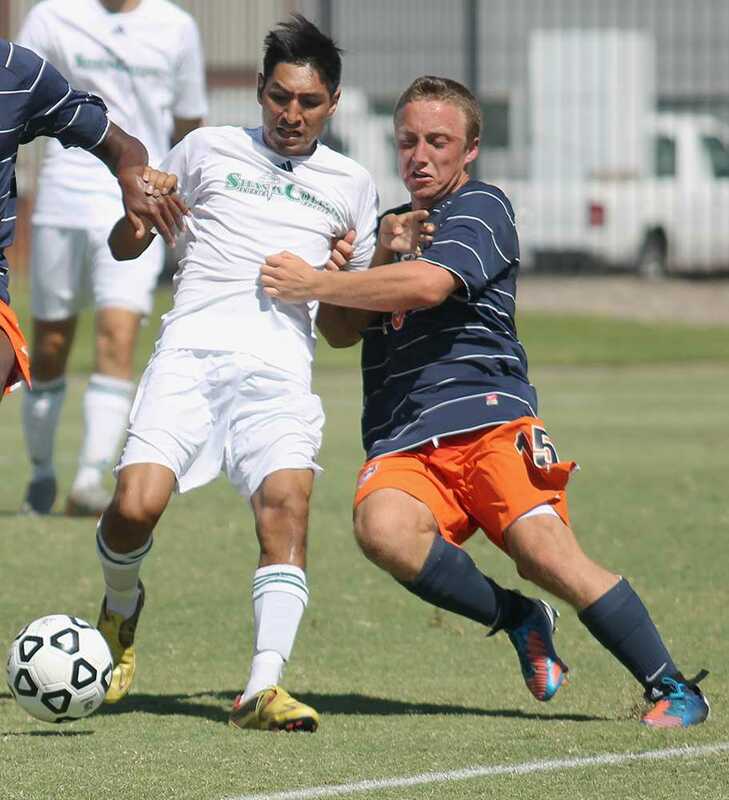 A Shasta College player keeps the ball away from Hawks' freshman forward Alexander Herman during their game on Sept. 6. 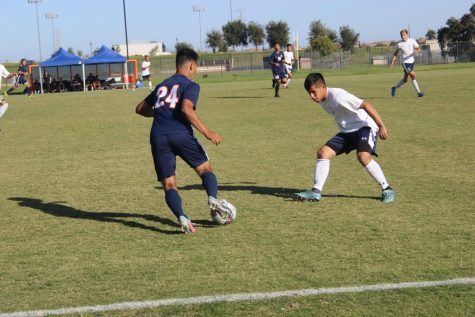 Cosumnes River College hosted the game as a part of the first annual Nor-Cal Colleges Showcase Weekend. 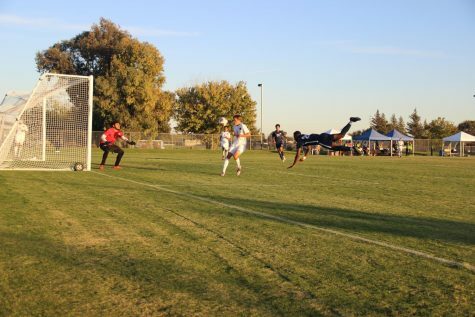 In a game like soccer where scoring is hard to come by, every opportunity to put a ball past the goalkeeper and through the net needs to be taken advantage of. 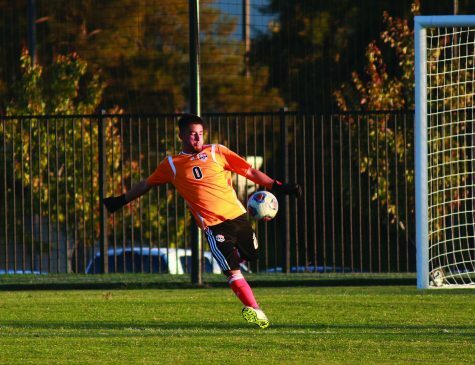 When the Cosumnes River College Hawks men’s soccer team played the Shasta College Knights on Sept. 6 at home, the Hawks left opportunities and goals behind. 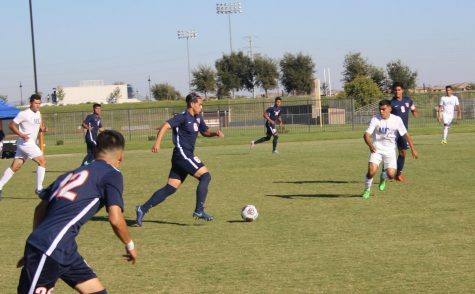 CRC tied Shasta College 0-0 in both teams’ first game of the first annual Nor-Cal College Showcase at Cosumnes River College. The Hawks also struggled with an element they could not control; the officiating. 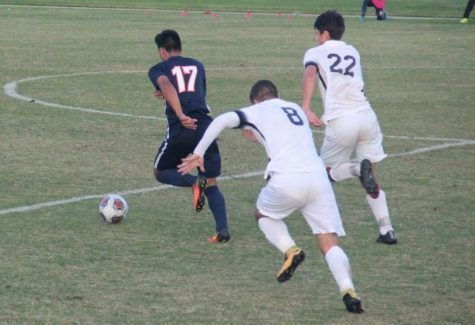 Numerous times, especially in the second half, CRC players were arguing with the referees about questionable calls. This game was not the first time the Hawks have gotten in trouble with arguing with referees. 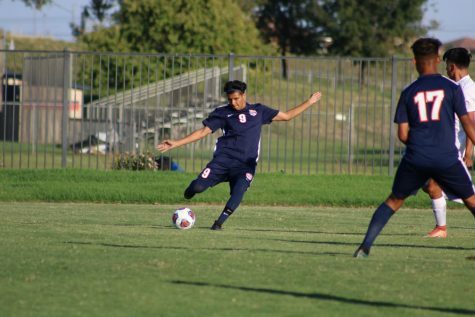 In CRC’s last game against Butte College on Sept. 3 freshman defender Brad Burkhart picked up his second yellow card of the game because of arguing. 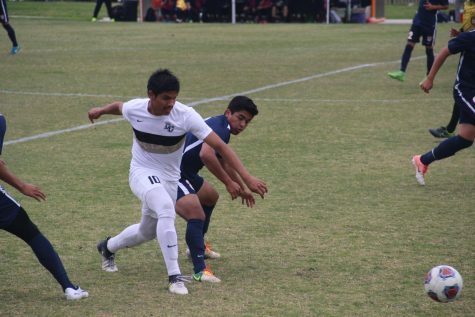 In picking up his second yellow card, he was suspended for the game against Shasta College. “I’m going to start yanking guys off the field if they talk back,” Preble said. Although the Hawks missed chances to win the game, Preble did find things he liked from his team. 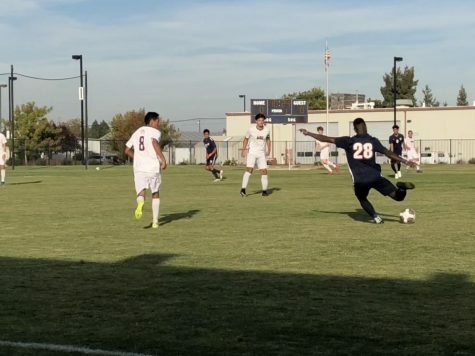 Due to the addition of brand new fields and facilities, CRC was able to host this first time event, which included some of the top men’s soccer programs from Northern California. “It builds excitement to our complex and a gradual improvement of our exposure,” Preble said. 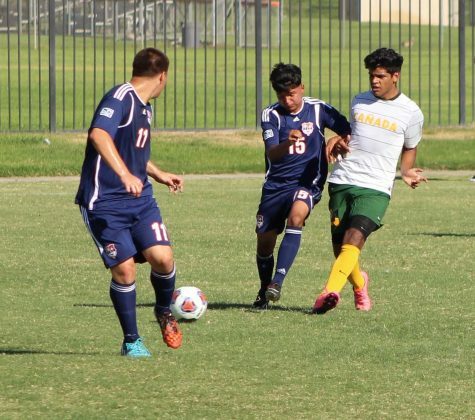 CRC had previously hosted a tournament which was conducted on Labor Day weekend but that tournament was eliminated because of budget cuts. 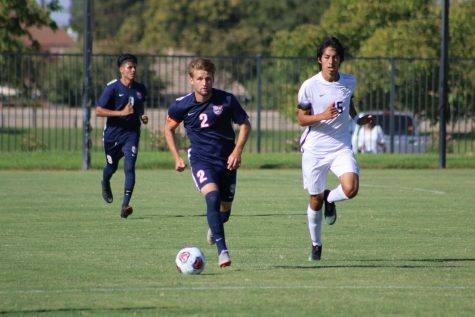 With the tie, CRC’s record stands at 1-0-3.